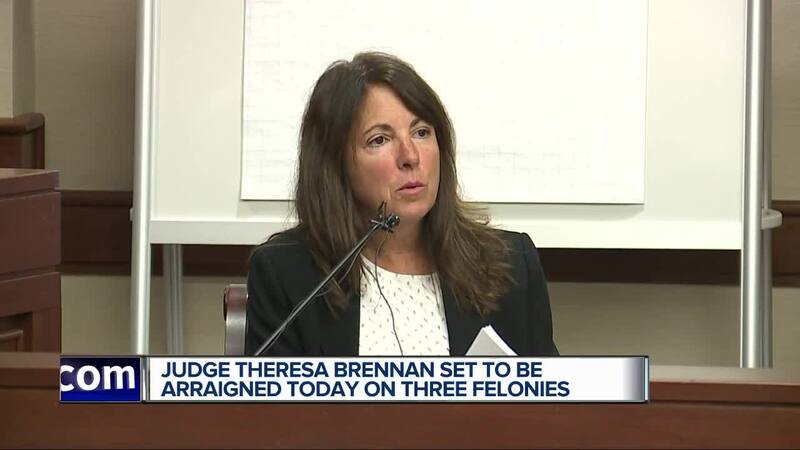 LIVINGSTON COUNTY, Mich. (WXYZ) — A Livingston County judge is set to have her first hearing in court after being charged with three felonies. Judge Theresa Brennan is charged with perjury, destroying evidence and misconduct in office and facing up to five years in prison and losing her law license. The charges come from her own divorce case after state police investigated for more than a year and a half. She's also accused of misconduct by the Judicial Tenure Commission, including failing to disclose a personal relationship she had with the lead detective in a murder case. Jerome Kowalski was convicted in her court and is serving life without parole. This case could also force her removal from the bench. Brennan's arraignment was scheduled for Tuesday at 9 a.m.